On Monday, May 11th, we had a surge of power through our house so great, that it magnified the brightness of our lightbulbs tenfold. The lights and one of the circuits proceeded to burn out, and the surge fried anything that was plugged in—as a strong burst of magnetic energy would. Even a surge strip did not keep the cable box from being fried. This type of situation has never occurred in our home in over 50 years. The event occurred at a little after 13:00 pm CST, or 18:00 UTC. No source was found for the surge, only a fried wire, which had caused a burning smell in the home. Certainly a malfunctioning wire, more than like fried by the surge as well, would not cause a surge in power, but a reduction in it. Would the Zetas care to comment on whether we are now experiencing EMPs from PX on a more frequent basis? If so, would it be recommended that all electronics not in use be disconnected from their power source? 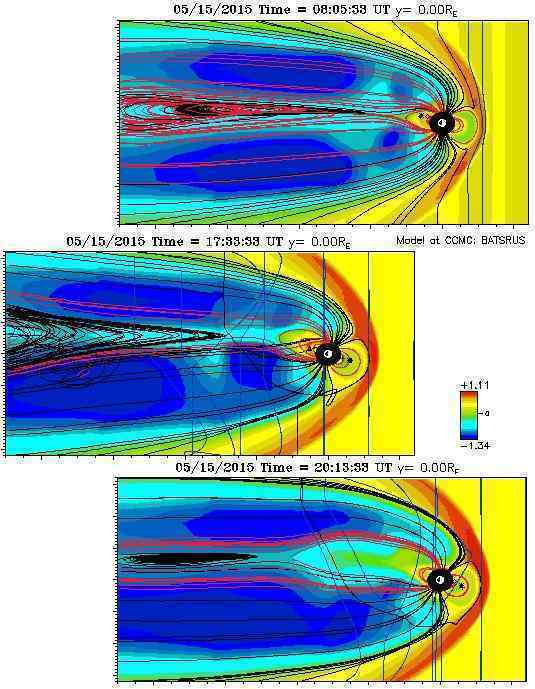 Space was relatively quiet, but the magnetosphere was fluctuating widely. [and from another] http://www.manchestereveningnews.co.uk/news/greater-manchester-news... The cut was said to have been caused by an electrical surge. People in the area say "Smoke was coming from the electric cupboard from 86 Deansgate when the power surge hit. 4 fire engines responded to the call". Jade Barrow is a receptionist at 86 Deansgate, and said the whole building shook. She said: "The firemen explained to me that an electrical surge is like 2 magnets hitting each other. That's why it all shook because of the force." [and from another]http://poleshift.ning.com/profiles/blog/show?id=3863141%3ABlogPost%... May 15. After 15 days with approximately 300 hours of missing data, it appears the uninterrupted BATSRUS RCM image feed has resumed. ASTORIA, Queens (WABC) -- Con Edison says an electrical fault at a substation in Astoria, Queens caused an electrical arc Thursday night (Dec 29), lighting up the sky over New York City while causing some flight delays and scattered power outages. It happened shortly after 9 p.m. at the Astoria East and North Queens Con Edison plant on 20th Avenue and 32nd Street in Astoria..."
Of course there was more than a mere transformer arcing in New York City, to turn the sky a neon blue seen from miles around. This was a neon cloud, a charged cloud caused by the wafting tail of Nibiru. Such neon clouds have been seen around the world over the past decade, but normally do not come down to Earth, but when they do, any electrical apparatus in the vicinity should beware. 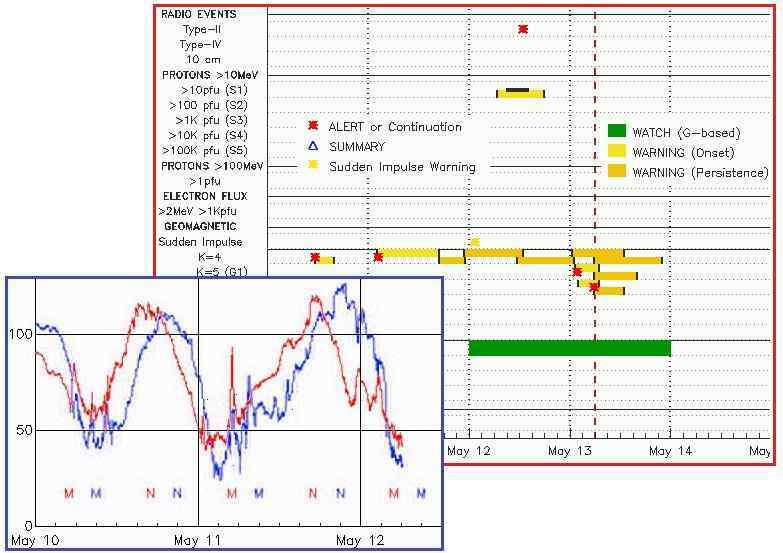 The simultaneous outage across the US, caused by an electrical outage at the CenturyLink headquarters in Louisiana, was a result of the same EMP assault in N America. It should be noted that both the Con Ed facility in New York City and the CenturyLink headquarters in Monroe, Louisiana are on the water, and in the case of the CenturyLink headquarters, virtually footed in a swamp. Why not put out a welcome sign for the EMP, which loves the water. Why was a UFO zipping about during the New York City incident? Just gathering data on the intensity of the EMP. The UFO did not cause the incident, nor do UFOs seen above volcanoes cause eruptions. Just gathering data. Please "always" include a link when you post to this ning. New York City, a UFO was recorded near the power plant explosion. Luckily for the travellers, the airport managed to promptly resolve the issues, stating that all operations have resumed. The incident follows a string of alleged drone sightings at London’s Gatwick Airport, which were enough to shut it down for over 30 hours this week. Thousands of passengers became stranded or had to rebook their flights. One Boston fire fighter was sent to the hospital during the two-alarm fire at a 12-story occupied building downtown. BOSTON, MA — One firefighter was sent to the hospital with non-life threatening injuries and some 2,500 people had to evaccuate after a two alarm fire broke out at 245 Summer St. People took to Twitter to report they heard an explosion near South Station just after noon (December 19, 2018). The Boston Fire Department said they were alerted to the fire when a smoke alarm was activated and sent to them. When firefighters arrived they found heavy smoke and fire at the 12-story occupied commercial building and called for a second alarm. By 12:50 p.m. officials said they'd successfully evacuated the building with no civilian injuries reported. According to early police and fire scanner radio reports the fire may have been started by a transformer explosion in the basement of the building. It's still officially unclear as to the cause or damages, but fire fighters said they were able to put the fire out after making their way into a basement electrical vault. Photos courtesy Boston Fire Department. A Delta flight from Bradley International Airport destined for Atlanta had to turn around after an in-flight emergency. Telemundo CT reporter Miguel Santiesteban, who was on board the plane at the time, said passengers heard what sounded like an explosion and a few minutes later the pilot announced they would be making an emergency landing due to an engine explosion. The plane returned to Bradley Airport. Passenger Adina Gaughran described the scary moments. "The lights all went off and you just - they kind of all of rocked and you heard the engine go off so it felt like we were just going to start sinking and crashing. I was waiting for the oxygen masks to come down," she said. "I was just thinking ‘OK they’re going to tell us everything’s going to be fine soon’ and then they didn’t say anything and I kept waiting and then all of a sudden the came overboard and just said ‘well something’s wrong, we don’t know what yet,’ And that was where it sort of got terrifying." TULSA, Okla. (AP) - A passenger says a Swift Air charter plane carrying the NHL's Carolina Hurricanes made an emergency landing in Oklahoma over the weekend after a noxious smell filled the cabin. The Boeing 737 landed at Tulsa International Airport about 4 a.m. Saturday (Dec 9) while traveling from Long Beach, California, to Raleigh-Durham, North Carolina. The aircraft was returning the hockey team to North Carolina after a game. The team's vice president of communications, Mike Sundheim, was on the flight. Sundheim said Monday that passengers could smell something similar to burning plastic. Once on the ground, Sundheim says technicians replaced a malfunctioning air data computer and took off again after a delay of about two hours. Phoenix-based Swift Air hasn't responded to telephone and email requests for comment.."
In a terrifying incident, thick smoke spread inside the cabin of a Kolkata-bound IndiGo flight causing it to make an emergency landing. A video of the catastrophic incident has emerged on microblogging site Twitter showing smoke spreading inside the cabin of flight 6E-327, which was flying from Jaipur to Kolkata last night. The plane was carrying 136 passengers. According to sources, IndiGo's new Airbus A320neo was around 45 miles (approximately 72 km) from Kolkata when the pilots transmitted a "Mayday" call on radio. This indicated to the Air Traffic Control that the aircraft and passengers were in grave danger. Sources said smoke was detected in the cockpit, cabin, and the lavatory. The flight then made an emergency landing in Kolkata. A senior industry pilot said that smoke in an aircraft is one of the most life-threatening situations "because of the threat of asphyxiation". Oxygen masks, which drop in the cabin when the pressure in the aircraft decreases, are not designed to completely filter the smoke. He said only pilots in the cockpits of airliners are equipped with full-face masks to completely filter the smoke.."
Electronic problems mid-flight force Angela Merkel’s plane to make an emergency landing. German Chancellor Angela Merkel’s plane was forced to make an emergency landing in Cologne not long after it took off for the G20 summit in Argentina, after it experienced “electronic problems” mid-flight. Merkel’s plane, named after Konrad Adenauer, had to return after just an hour into the 15-hour flight to Buenos Aires after experiencing “technical malfunction.” The high-profile aircraft turned around over the Netherlands and made an emergency landing in Cologne. Photos from the scene show firefighting vehicles with their lights flashing waiting for the malfunctioning plane at the airport. A replacement aircraft has been sent to Cologne from Berlin to pick up the German chancellor and her stranded delegation. It remains unclear if the delay will affect Merkel’s schedule at the G20 summit..."
A loud explosion rocked a busy downtown corner of Bakersfield Tuesday afternoon (Nov 20), shooting billowing flames into the air and causing widespread power outages. The ground shook along Eye and 20th streets across from Dagny's coffee shop around 5 p.m. near the AT&T building. Bakersfield firefighters said the explosion came from an underground transformer. David Killingsworth told The Californian he was sitting in Dagny's and heard a loud explosion. He said everything shook and "it felt like an earthquake." A car parked in front of the vault was burned, but the owner was able to drive it away after the fire had been extinguished. Two other cars also parked in front of the vault did not receive damage, BFD said. A woman was walking nearby at the time of the explosion, but no injuries have been reported. "I looked up and there was a big fire," said Valerie Vidal, an employee of Henley's Photo, who walked outside after hearing the explosion. "It was pretty wild." Flames shot from an underground vault in the sidewalk along Eye Street. The initial explosion shot the lid of the vault in the air, but it landed just a few feet away, causing no injuries or damage..."